Gronda is the biggest inspirational network for gastronomy and hotel professionals, with more than 100.000 members in the DACH-region—Germany, Austria, and Switzerland. Gronda’s vision is to support every last member of the hotel industry to reach his or her full, professional potential. Gronda is connecting people worldwide who work in tourism, hotels, or restaurants. Receive applications, or directly message members who are open to new challenges. Get inspired by us and other members on the platform. Learn some tips and tricks for your HR tasks. Create your free company profile, and strengthen your company brand. More than 100.000 talents in the hotel industry and in gastronomy are already on Gronda. 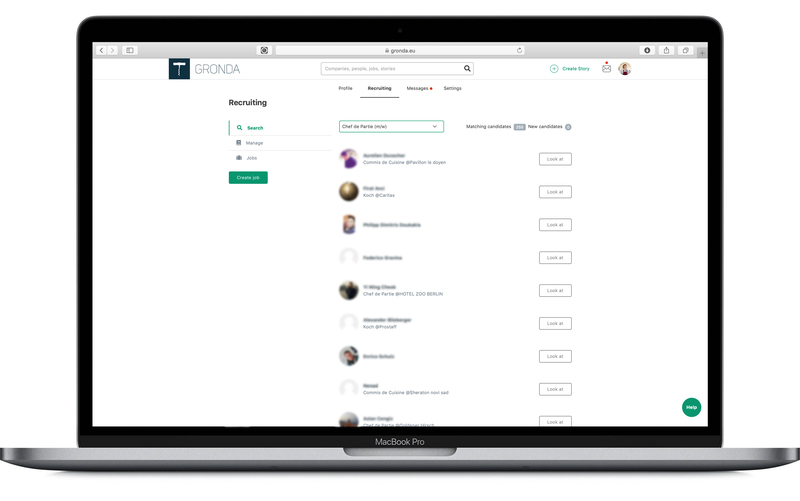 Gronda helps renowned hotels and first-class restaurants find the best employees.